Carnival has historically been a major holiday in València ever since the 16th and 17th centuries. Banned during different periods in time, the carnival however managed to survive. In the late 19th and the first third of the 20th century, great popular masquerades were held at the Albereda, and elegant parties were thrown by the middle classes. The carnival was forbidden during Franco’s dictatorship but its spirit had pervaded the Falles Festival for decades, with irreverent and satirical elements well rooted in both the catafalques and the celebrations and parades. From the period of the transition, and with the legalisation of this festa, popular movements claimed its rebellious and transgressive nature, and the festival took on a new dimension with school celebrations too. Mainly emerging in some neighbourhoods, a number of initiatives gave a boost to València’s Carnival. 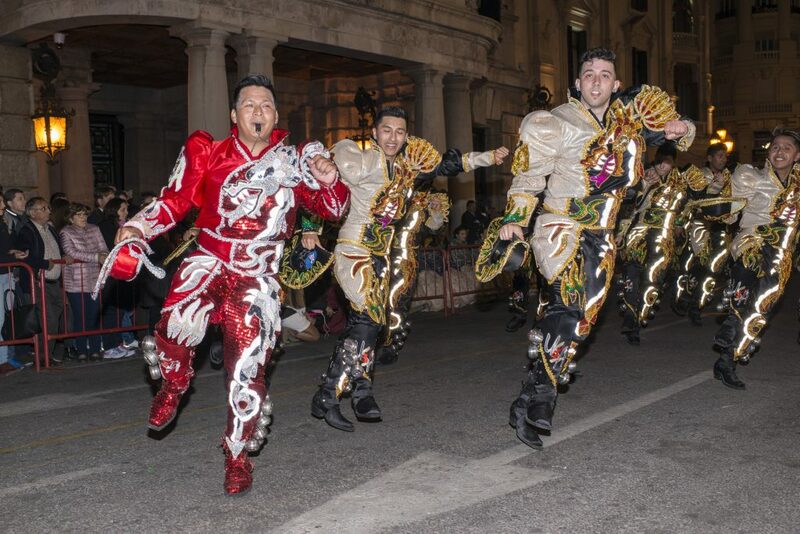 Some district festivals are noteworthy, like those in Benimaclet, with really consolidated celebrations that pay homage to Maclet the Moor, or in Russafa, with events held under Carnaval Russafa Cultura Viva, partly inspired by well-known European carnivals.